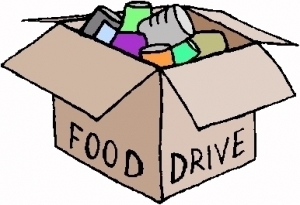 The Student Council will begin collecting all nonperishable foods and supplies starting the week after Thanksgiving break. All items donated will be picked up by representatives from the Nunda Fire Department after school on Friday, December 7th. Everything collected will go to families in need in the Prairie Grove community. Copyright © Prairie Grove School District 46 2019. All rights reserved.